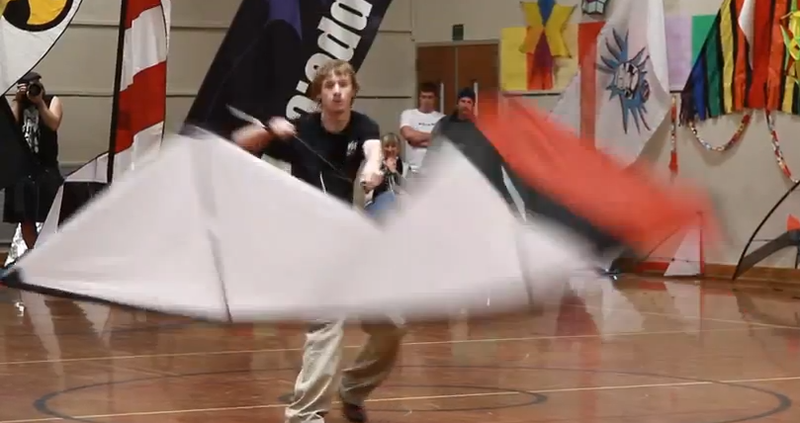 Some new, some older, but all great representations of kiting skill and spirit. Our very own Managing Editor here at KiteLife takes first place at the Windless Kite Festival earlier this year, and has drawn over 646,000 views on this viral YouTube video between Jan 26 and Feb 14th (less than 3 weeks)… Tremendous exposure for kiting, share the link! The performance that launched Connor onto national television, this video has drawn nearly 3/4 million views on YouTube over the past 2 years. Sick trick flying, Mathieu Mayet vs the Slash V2 Aero. Another beautiful and occasionally viral video, the various uploads of this on YouTube have drawn over half a million views. From the 27 Festival Internazionale degli Aquiloni in Cervia, Italy – uploaded in 2007. An oldie but goodie, this is one of the videos that pushed kite promotion into a new era. Kitesurf and landboarding by Davis Ursell and his team from PUSH KITING. If you’ve seen a video you think we should feature, please send us the link via our contact page. This entry was posted in KL Archive and tagged AGT, bethell, doran, featured, indoor, Mayet, Slash, viral, Watson. How does Kite Competition Evolve?